Auli has one of the best slopes in the world facilitating snow skiing during winters from beginning of January to the end of March. The 3km long slope ranges from 2519 mt to 3049 mt offers a magnificent panoramic view of central Hilmalayan peaks like the Nanda Devi (7817 mt), Kamet(7756), Mana Parvat (7273mt) and Dronagiri (7066 mt) etc. The skiing centre was setup in Auli in 1984. Professionally trained staff have been employed for skiing. The Deodar and Oak forests cover the slopes and reduce the velocity of the chilling winds to the minimum thus helping the skiers. 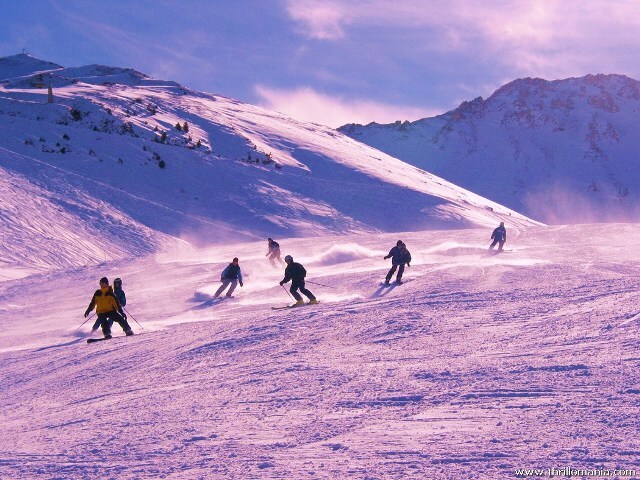 The slopes of Auli and surrounding areas seem to beckon all adventure seekers for winter sports enthusiast during the winters and trekkers during the summers. 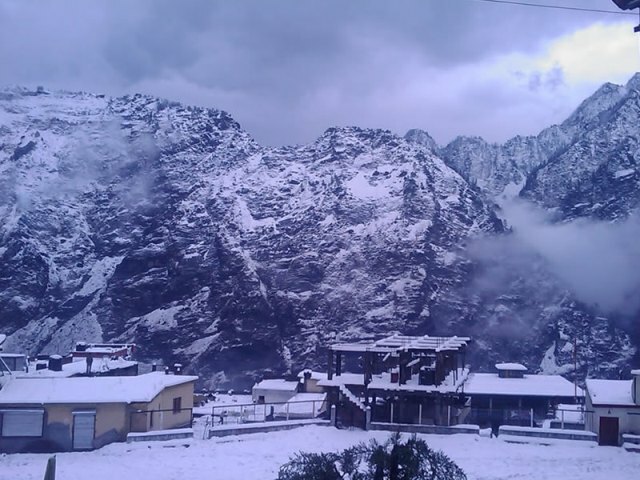 Auli is connected to Joshimath with a 3.92 km long cable car, besides the 14 km long motorable road. One can also enjoy a 500 mt long chair lift linking the lower and upper slopes. At Auli, Uttarakhand Tourism/GMVN Ltd. conducts skiing training course of 7 and 14 days duration. Chaattrakund: 1 Km Gorson Bugyal, in the jungle is a small lake of sweet water called Chattrakund. Gorson Bugyal: 3km from Auli, Gorson Bugyal is a huge meadow spread amidst a mixed forest of oaks and conifers. Gorson Bugyal is at 3056 mt above sea level. Vanshinarayan Kalpeshwar: 12 Km from Joshimath and 10 Km from a village called Helong, this is a beautiful valley where there is a cave called Kalpeshwar. 10 Km further down the road is a spot called Vanshinarayan, which is unmatched in its beauty. Kaunwari Pass: 12 Km from Gorson Bugyal is a fascinating place for trekkers at a evaluation of 3350 mt above sea level. 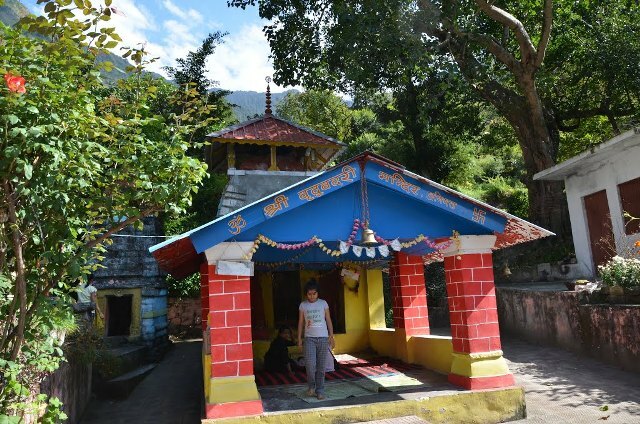 Joshimath: 14 Km from Auli, Joshimath town has many temples and memorials. It’s the gateway to Badrinath and the Valley of flowers/Hemkund Lokpal. Tapovan (Hot Spring): At a distance of 30 Km from Auli (by road) Tapovan is situated at a height of 1829 mt on the banks of Dhauli Ganga. It is known for its thermal springs which are believe to posses miraculous healing power. It is a quite popular picnic spot and trekking route to kunwari pass also begins from here. Valley of Flowers: Stretching over an expanse of 87.50 sq. kms. the valley is surrounded by snow-capped mountains and carpeted with some 500 rare species of flowers. Frank S. Smythe – mountaineer, explorer, botanist who camped here for several weeks in the monsoon of 1937 and did valuable exploratory work, introduced the valley to the world as the valley of Flowers. Bridha Badri: The temple of the Bridha (old) Badri is located at Animath, 7 km before Johsimath near Helong Chatti. 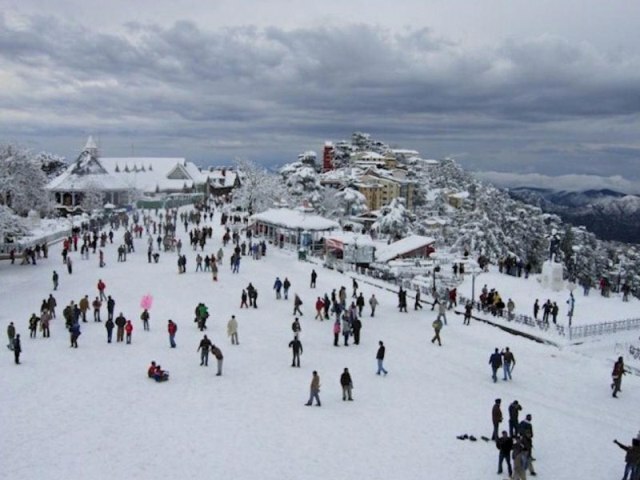 Air: The closest airport for Auli is at Jolly Grant, Dehradun. The airport is at a distance of 29 km. Rail: The nearest railhead is at Rishikesh, avout 276 km from Auli. Road: Frequent buses run for Joshimath from Dehradun, Rishikesh and Haridwar. Auli by hired jeeps or taxis from above mentioned places. Private Hotel Accommodations are available in Joshimath. Every year, Haridwar plays host not only to lakhs of pilgrims and tourists, from across the country and a abroad, who come here on their religious sojourn, but also to a large number of the winged guests, from the high altitudes in the Himalayas and also from across the Himalays, which descend on the wetlands of the region during winter. Just as the benevolent nature has endowed Uttarakhand with a rich wealth of luxuriant forests, magnificent mountains and gurgling rivers, she has also blessed it with a number of excellent wetlands, including #AsanBarrage gar in Dehradun district, #PashulokBarrage near Rishikesh and Bheemer reservoir and the #Missarpur Ghat in Haridwar district, which are a haven for migratory fowls for their wintering. The aquatic birds have already started arriving in the wetlands of the district for their seasonal itinerary. Dinesh Bhatt, professor in biological sciences, department in the Gurukul Kangari University, Haridwar, and an internationelly acclaimed or nithologist, who has conducted extensive research work on the pattern of behaviour of the migratory avifauna, says, that with the onset of winter, when it is too cold in north Europe and Asia and with no germination in from their native, these aquatic fowls migrate from their native habitats, including Palaearctic region in Europe and Asia and descend on the wetlands of the warm regions on the wetiands of the warm regions for shelter and nutrition. ”Their in-built biological clock, making field, help these migratory birds in their smooth journey, along the specific flyways, to descend on the wetlands in the Indian sub-continent and other warmer places. They stay here till March and as the warmer days arrive, they bid adieu to their wintery abodes and, with their sure sense of direction, return to there native habitats far off for breeding,” says the noted avian biologist. During recent years, these trans Himalayan migratory birds, which used to congregate in the wetlands here in October and November, have started coming late, that is, in November and December and their number is also dwindling. The ornithologists attribute the change in their pattern of migration mainly to global climatic fluctuations. Besides the migratory birds from the Palaeartic region, some species of birds, such as herons wkagtails, egrets, cormorants, black necked redstart, white throated kingfisher and black winged stilt, come down malayas to the lower altitudes for wintering. “Besides the wetlands in the region, the river banks in the melodious notes of the multi coloured migratory birds these days,” says Rajeev Mehta, warden of the Rajaji National Park. Till a few years ago, the Bheemgora Barrage, situated between Neeldhara and other tributaries of the Ganga at the foothills of the Himalayas, used to be an ideal birding destination for migratory birds during winter, However, during the massive floods of 2010, there was erosion of large parts of the Island here which was used for roosting by the migratory birds, The bird lovers are demanding recreation of the Island at Bheemgora Barrage, with plenty of vegetation on it. Heavy traffic on the Dehradun-Haridwar National Highway and human intervention are other sources of nuisance for the migratory birds here. Now these migratory fowls have found a new destination at Missarpur Ghat, 8 km from Haridwar, for their foraging. The shallow water, the pleasant amblience, the intermixing of the treated sewage water with that of the Ganga, make this ghat a virtual paradise for the migratory birds. The birds lovers say that thought the state, sufficient efforts are not being made for the conservation of the avifauna, both native and migratory. Since some of the globally threatened bird species, like painted stork, osprey, pallas’s fishing eagle and oriental darter, come to these wetlands, it is all, the more necessary to initiate measures for the conservation of these wetlands for the safe and regular arrival of these rare species of birds. “The conservation of these wetlands will also enhance the aesthetic beauty of these sports and also give a boost to eco tourism,” says a local bird activist. 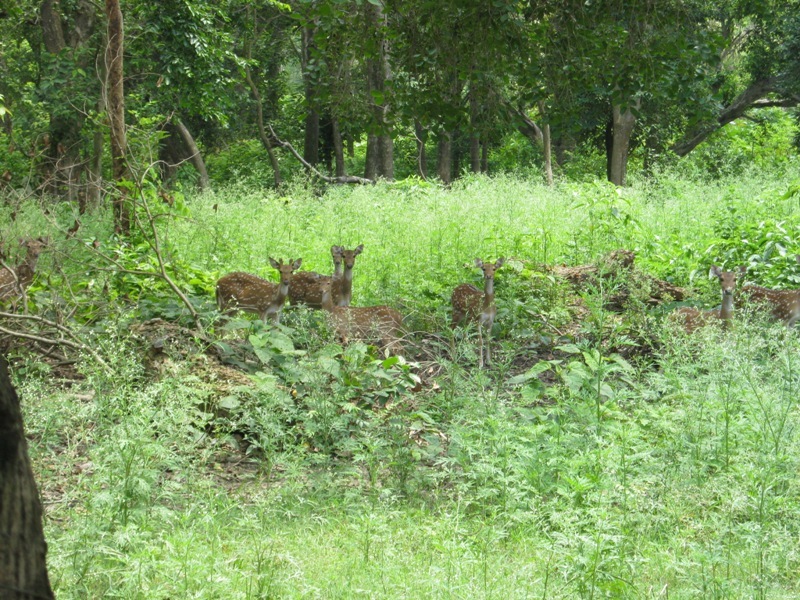 Swamp deer have found a welcome home in the Jhilmil Jheel Area, which is a community conservation reserve. At a time when wildlife is facing threats from various quarters, there is good news from Jhilmil Jheel in Rasiabad forest range of Haridwar Forest Division for wildlife enthusiasts. The Jheel is emerging as a haven for swamp deer, a highly endangered species of wildlife protectd under schedule 1, like the tiger and elephant etc. of the Wildlife Protection Act 1972; it is also included in the red data list of rare animals in the International Union for Conservation of Nature (IUCN) an affiliate of the UNO. The adult male swamp deer has huge antlers branching to more than 12 points. So it is popularly called Barasingha in India. Swamp deer mostly move in herds of 20-30, but in the mating season the size of the herds gets larger. The swamp deer shed their antlers in April, The male deer are poached for their antlers, the sale of which has now been banned. Dr. B.D. Joshi, professor of environmental sciences in Gurukul Kangri University, Haridwar and a noted wildlife expert, says that in north India, at this time, Dudhwa Tiger Reserve along with Kishanpur Sanctuary in UP, with around 1200+ population of this species, are the stronghold of the swamp deer, while a small number of this species is also found in the swamps near Hastinapur in Meerut district. In Uttarakhand, Jhilmil Jheel in Haridwar Forest Division has emerged as an ideal habitat for this rare species of animals. It may be mentioned that in 2005, the state forest authorities, co-ordinating with the Wildlife Institute of India (WII) Dehradun, conducted a survey of the Jheel to assess the population of swam deer in the Jheel, which is a saucer shaped wetland, spreading over 3783.5 hectare of land along the bank of the Ganga. The area is rich in floral and fauna biodiversity, but at that time, there was no authentic data about the presence of swamp deer in the Jheel. The team, to their delight, sighted a herd of 32 swamp deer. Community Conservation Reserve to the country by releasing a poster. “A Community Conservation Reserve is different from a National Park or a Wildlife Santuary , since parks and santuaries are totally managed by the forest department, while the local community is involved in the management of the Community Conservation Reserved,” told by Dr. RBS Rawat, the chief Principal conservator of forest of the state. Those who have seen the Holly-wood’s super hit scientific fiction Avtar will perhaps never forget the powerful scene of the gigantic tree which provided shelter to a large number of the aliens. You can have glimpse of some such scene in the famous Raja ji National Park of Uttarakhand. 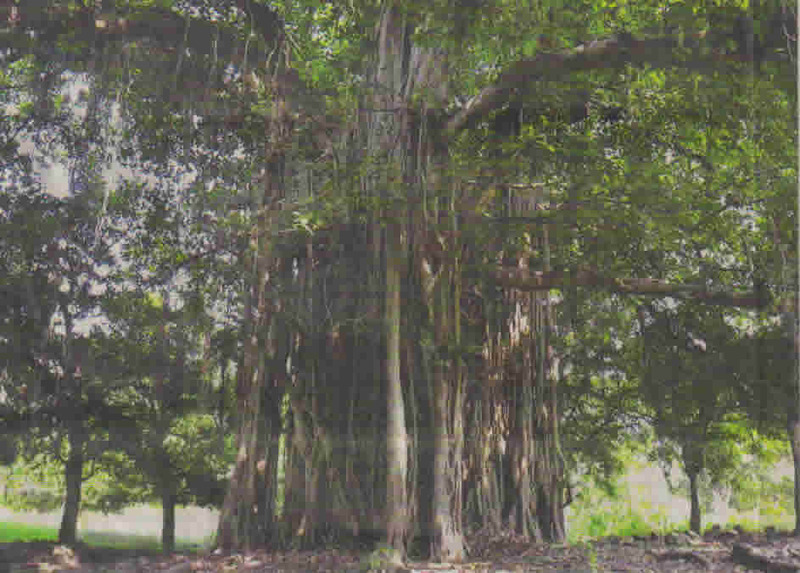 The only difference is that here the tree is a banyan tree which is a habitat of a large number of wild animals and avian species. In the movie, the humans destroy the vast tree to dislodge the aliens, whereas in the Rajaji Park, the forest personnel have prepared a project for the conservation of the banyan tree. Since the film provided the motivation, the park authorities have named the tree as Avtar. 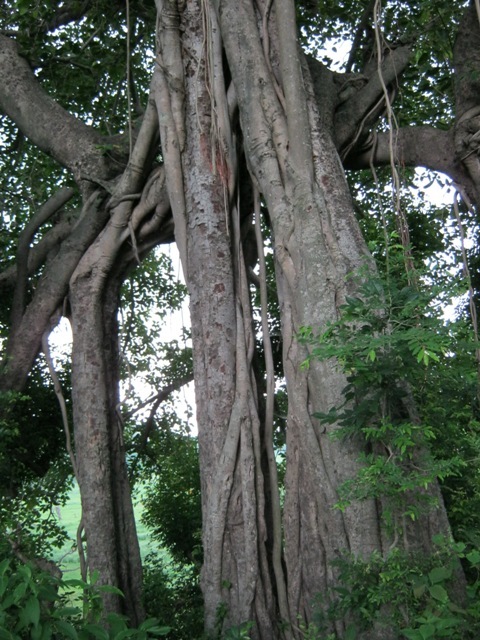 The tree, with eight meter diameter of its trunk, is said to be more than 300 years old. The authorities of the Rajaji Park, Which spreads over 820.28 sq km of parts of Haridwar, Dehradun and Pauri districts of the state, have incorporated in their 10 year management plan of the park, a project for the conservation of old trees. The conservation of the old trees is one of the major planks of the Heritage Conservation Project Which forms part of the management plan-2022 prepared by the park authorities. In the park there is ‘God’s plenty’ of the old trees, specially banyan, peepal, behad and saal trees, which are more than 100-150 year old. The director of the park, S.P. Subudhi says that with the help of the G.P.S.technique they have identified and located 114 very old trees which are due to soil erosion. “By adopting measures, such as making check dams, for their conservation, their life can be extended. The conservation of one such tree will cost about Rs. 1 lakh”, says the director of the park. But it is being argued by a section of the people that instead of spending Rs. one lakh on conserving one old tree, it will be better to spend this big amount on planting one hundred new saplings. However, Haridwar based state head of the Wildlife Protection Society India (WPSI), Rajendra Agarwal says that the old trees are heritage trees and have their own importance. “Old is gold. These old trees are very large in size. They provide shelter to the wildlife and the avian species such as eagles, hawks, kites, vultures and bats. They are habitats of monkeys and langoors. The leopards relax on their large horizontal branches and the fowls make nest on them for roosting and breeding. One such tree is equal to one hundred eco systems”, says Agarwal. The chairman of the State Forest Corporation, Kunwar Pranav Singh Champion has also hailed the proposal of the forest authorities and says that they will extend all help to the project. “These old trees, due to their large size, help greatly in purifying the air and are a vital link in the eco-system”, says champion. These heritage trees will be great centre of interest for the tourists and will help lure more tourists to the park. Moreover, they will also be a centre of interest for the researchers and forest scientists. Uttarakhand is very rich in bird life; in Corbett park alone there are about 600 species of bird. The wanton destruction of bird life had a detrimental impact and many species like the Forest Spotted Owlet, Pink-headed Duck and the Himalayan Mountain Quail were driven to the verge of extinction. The rediscovery of the Forest Owlet in 1998 indicates that Himalayan Mountain Quail could have survived the pressure of the wilderness in the region. 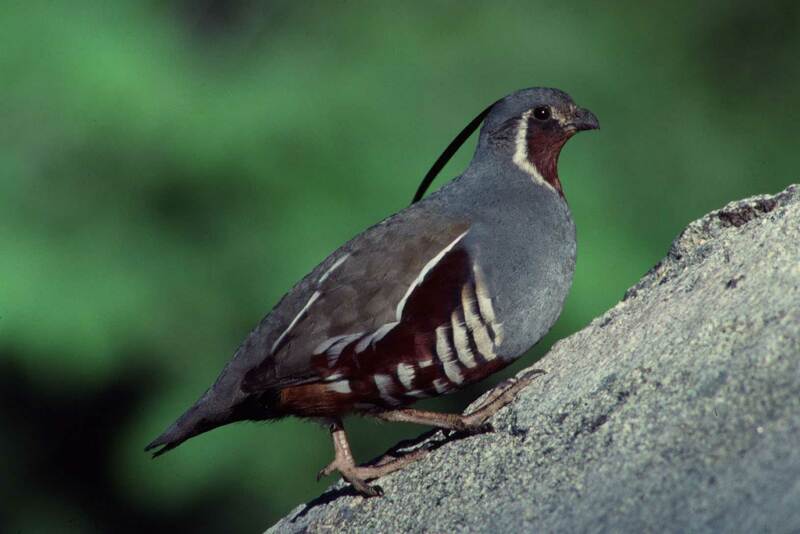 The Mountain Quail is one of the the rarest Galliforms (heavy bodied, ground-feeding birds) in the world. Sarvpirya Consul, A keen bird watcher, states, “It is a medium-sized bird with red bill and legs. The writer spot in front of the eye in both males make them distinctive. “Its rediscovery in Uttarakhand will bring about a revolution in the field of ornithology and facilitate in establishing Uttarakhand as a haven for bird watching in the International Circuit. The wildlife enthusiasts have a reason to cheer. The state Government after a long wait of about 30 years, has at last issued the final notification for the Rajaji National Park which consists of 9 ranges and is spread over 820.40 sq.km. of Haridwar, Pauriand Dehradun districts of Uttarakhand. The initial notification for the setting up of the Park under the Project Elephant was issued in 1983. However the final notification could not be issued since various hurdles had to be cleared. It may be recalled here that the Park, which marks the northern limits of the Asiatic elephant, is one of the safest heavens for jumbos in the country. At present, there are about 415 pachyderms in the Park and the male, female ratio is excellent. The granting of the status of Project Tiger in the Park required firstly, that the final notification for the National Park status be issued. Now with the issuing of the Final notification, decks have been cleared for the launch of Project Tiger in the Park. After the exact mapping of the Rajaji Park boundaries, 14 revenue villages on the periphery of the Gohari Range of the park have been excluded from the park boundary. As per directions of the Tiger Conservative Authority of India, the Rajaji National Park core area of the Rajaji Tiger Project, while about 300 sq.km. of Shyampur range of the Haridwar forest division and parts of Kotdwar and Laldhang forest division, which function as a buffer zone, will also be included in the Tiger Project, augmented area to 1150 sq.km. “After amalgamating the new area as buffer zone in the existing boundaries of the Rajaji Park the notification of the Project Tiger will be issued by the state government within a month,” informs the Principal Chief Conservator of the state forests. Besides a fairly good population of the tuskers in the Rajaji Park, tigers are also sighted. Park sources say that about 20 tigers, mostly confined to be a region, have been sighted. The launching of Project Tiger in the Park will give a fillip to the conservation of the big cats. “It will increase the protections level of tigers in the Park,” says the Chief Wildlife Warden of the State, SS Sharma. Actually, the Rajaji Park faced many challenges include the issue of resettlement of the Van Gujjars (tribals) from the park. Due to porous borders, poachers find it easy to enter the park and target endangered species of the wildlife. Moreover, the railway tracks passing through the park have become the death knoll for wildlife. Now, the launch of Project Tiger, ample funds will be available to get better infrastructure and resources, including trained manpower to protect wildlife and improve the quality of their habitat. 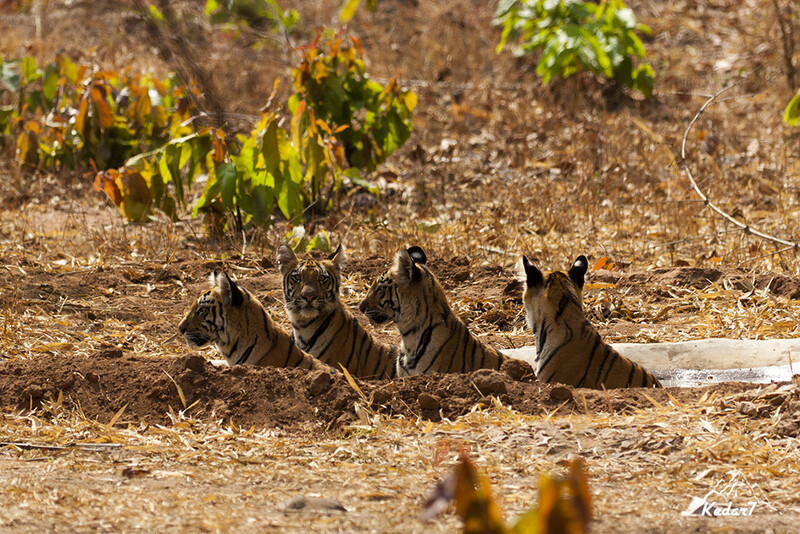 Steps like setting up Rajaji Tiger foundation and State Tiger Protection Force can be taken. The long pending issue of rehabilitation of tribals and issue of shifting railway track will finally resolved. During the last two years Missarpur Ghat, about 5 km. from Haridwar has emerged as the new haven for the migratory avifauna and Ghat is really a wonderful spot for the bird watcher. Mother Nature, which has endowed Devebhoomi Uttarakhand with luxuriant forests, inhabited with a large population of wildlife, has also blessed her with many ideal wetlands which play host to migratory avifauna from long and short distances, Asan barrage near Dehradun, Bheemgoda reservoir at Haridwar, Solani river at Roorkee, Jhilmil Jheel near Laksar and Pashulok barrage near Rishikesh are some of the very good wetlands which lure a large number of winged guests every year during winter. These wetlands provide a splendid spectacle, with large number of species of aquatic fowls of different hues, frisking on water and charging the atmosphere with melodies of different notes. These birds are natives to overseas cold palaces. During winter, when there is no germination in nature in cold Palaeartic region of Europe and Siberia, there birds migrate to warmer places of South East Asia including India in search of food and shelter. With the onset of winter October-November these migrated birds, traveling thousands of miles and flying over the Himalayas, descend on the wetlands such a Bheemgoda barrage, Jhilmil Jheel, Solani River and pashulok barrage which are ideal birding destinations due to slow flow of water, luxuriant growth of vegetation and abundance of feeding material for them. In March, as the days get longer and warmer, these seasonal migratory birds, guided by their in-built biological clock and their sure sense of direction, bid adieu to their wintry abodes and depart for their native habitats. Dr. Dinesh Bhatt, a noted ornithologist of the country and professor of environmental science in Gurukul Kangri University who has done extensive research work on avian biology, had identified 32 species of migratory fowls, such as ruddy shelduck, northern pintail, teal, mallard, gadwall, red crested poachard and black headed gull, which come in the region (Rajaji National Park) for their winter sojourn. During recent years these migratory birds have started coming late and their number is also decreaseing. Dr. Bhatt attributes the depletion in the number of the migratory birds and their late arrival mainly to global climatic fluctuations. Besides the aquatic fowls coming from the Palaeartic regions, Bheemgoda, barrage and other wetlands also play host to the local Himalayan birds, such as wagtails, herons, cormorants and egrets, which come down below for wintering. During the last two years Missarpur Ghat, about 5 km from Haridwar has emerged as the new heaven for the migrated avifauna. “At present Missarpur Ghat is really a wonderful spot for the bird Watcher. Missarpur Ghats are providing ideal foraging conditions to these birds may attract the attention of hunters also. The bird lover say that there is urgent need to be develop this area for the protection of birds by erecting watch towers and taking such measures. Some of the wetlands in the region provide safe nutritious shelter sites for some globally threatened bird species like oriental darter, painted stork, osprey and pallas’s fishing eagle, the conservation of these wetlands becomes al the more necessary for the safe and regular arrival of many ecologically important migratory birds and also to enhance the aesthetic charm and recreational values of these spots. Know more about Jhilmil Jheel. The Jhilmil Jheel (Lake) Conservation Reserve is located at the Junction of the Bhabhar and Terai formations extending up to the Ganges in Uttarakhand State. The area is not only rich in biodiversity but also has landscape, cultural and social heritage diversity richness. Jhilmil Jheel is situated सस N 290 32’ to 290 50’ and E 780 to 780 15’ covering an area of 3800 Ha of Reserved Forest. The altitude of the area varies from 200 to 250 meters above MSL. It is located between the Haridwar-Najibabd Highway and the natural course of the Ganges to the south of it in Chiryapur Range of Haridwar Forest Division, Uttarakhand. It is connected to River Ganga and is surrounded by Reserved Forest at Chiryapur Range. On 1st Feb. 2005, 34 swap deer were sighted in Jhilmil Jheel and on 14th August, 2005, this area was declared as Conservation Reserve by Honourable President (former) of India, Prof. A.P.J. Abdul Kalam.